Join us for Café Society: Meet the Collector - Emily Ladow Reynolds of Anonyma Fine Art on February 28th from 6-7:30 PM. This event is free and open to the public! 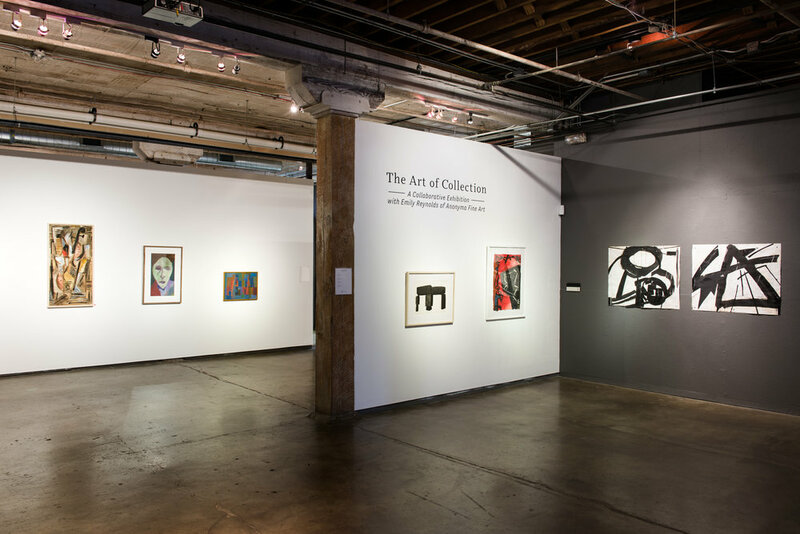 Emily will host a discussion with guests about how and why she started collecting and curating anonymous art. Her exhibition is on view until March 16th, 2019. "Anonyma Fine Art is a reaction in part to the proliferation of mass-produced “artwork” for the home, which doesn’t have the soul of original, unique art. It is also a reaction to the polished perfection we see on social media; my collection, especially older artwork, may show the evidence of its age. I believe those imperfections — the patina of a painting created 50, 75, or 100 years ago — only add to its value and to its beauty. I cannot speak to the provenance of most pieces, or even to the artist behind every piece, but I can attest to the time and care I’ve taken to select artwork that I believe displays genuine talent."